One of the nice things about gravel roads, unlike MTB trails, is that you really can't damage them when they're wet. In the spirit of the Winter Warrior Challenge, Saturday's Intro to Gravel ride is on, rain or shine. Whether you're dying to get off the trainer or just want to test your mental toughness, come on out and get wet and dirty! Join us this Saturday for a 32 mile Meandering ride from Whitehouse to Liberty Center. This is a no drop ride. It is meant for beginners or someone who wants to enjoy the scenery. See you at 9AM at Cycle Werks. An eatery for after the ride will be decided on at the ride. I received our initial order of magnets with the club logo. They are going for $1 each (Proceeds to the club's general fund). I'll have them with me in Whitehouse on Saturday morning and on subsequent rides. Come get em! (Same size as the club stickers we had with the old logo...3"). What an incredible April evening for a bicycle ride. 25 cyclists ventured onto the same route used by the Monday night summer riders. Although it was a large group everyone did a great job staying together and taking their turn pulling. Looking forward to next week. If you are looking for a more challenging ride, Doug's Summer of Stupid is riding Poto and DTE, a 58 mile, leg-testing adventure. The Ride of Silence will take place on Wednesday, May 15, 2019. There will be three area rides this year. TAB riders attending the Toledo ride are planning to meet behind Tam-O-Shanter in Sylvania for the 600p ride down to University of Toledo. 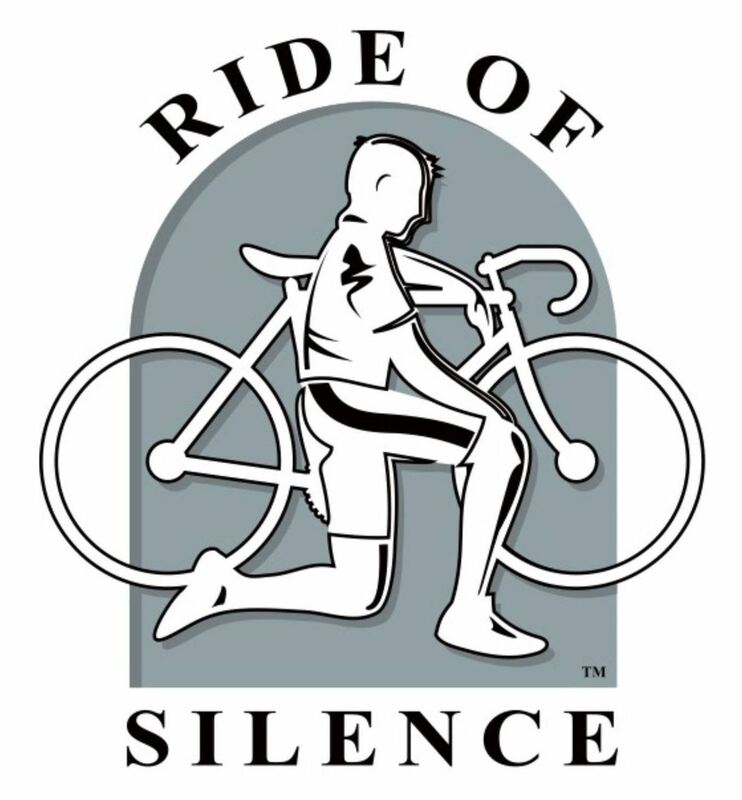 Our 10th Annual Toledo Ride of Silence will be held on May 15 starting and ending at Gateway Area 25 located adjacent to the University Parks Trail at the University of Toledo (near Secor and Dorr). The ride will be slow-paced (12 mph Max.) covering ~10 miles. We will be escorted by Toledo City Police, Ottawa Hills Police and UT Police on route. Helmets are required. This event is free and open to the public. No registration necessary. The second week of Saturday Adventure Touring brought out 19 riders on a sunny, just warm enough day. We rode about 20 miles into the wind to get to Liberty Center, reminding ourselves that it would be a lot more fun when we turned around. And it was! But, sadly, we went past the burned out Log Cabin Inn on CR 3. The restaurant still stands, but the bar was destroyed. Once again, we met up with the Meanderers at The Buzz for lunch. Next Saturday, we leave from Whitehouse at 9:00 for the Big Blue Rendevous. With the sun shining, cold, and wind made for a great ride this morning, with 12 riders this morning with Lindsay turning around to ride with the Adventure Saturday group ride. As you can see we stopped at the hippy chick bus for a fun photo shot. I made a comment that I think all will agree, ‘“we ride in the groups to enjoy the friends”. Makes the weather much more tolerable. Saturday Adventure Group n the Meandering Group arrived In Whitehouse at the same time to our reserved table at the Buzz. By the way, Terry is buying next week, from Mom. 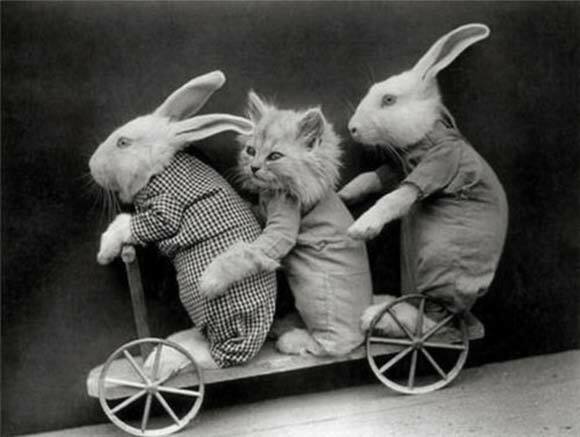 Next week is the Meandering group Ride Easter bunny ride. Destination to be determined. Have a great week!! Please join the Easter Bunny and me for an Easter Sunday ride at 9:00 am from the home of Sue Richards at 889 Bexley Road in Perrysburg. There will be 25-mile and 35-mile routes. There will be good food to eat upon your return provided by Sue. Cue sheets will be provided and (hopefully) the route will be marked on the roads. I hope to see you then. This morning’s Sunday Breakfast Ride has been cancelled due to conditions.